We practice on 1st and 3rd Thursdays of the month, from 7.30pm – 9pm. Marstan, Kington Magna, Gillingham, Dorset, SP8 5EW. Please also contact Tim if you are interested in learning to ring. Kington Magna possesses a fine ring of 5 bells, with the tenor weighing 14¾ cwt, which were restored in 2010 after much effort by the villagers and others over a number of years. 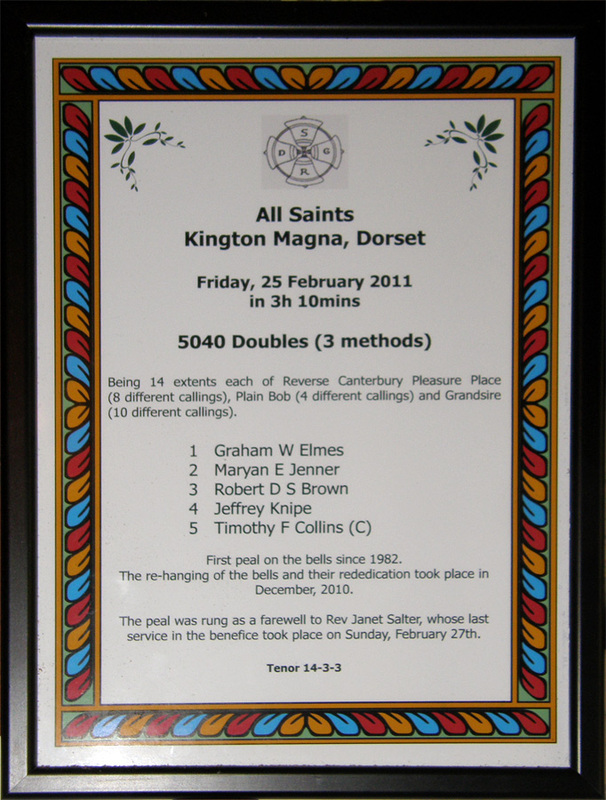 One time Vicar of Kington Magna, the Revd. 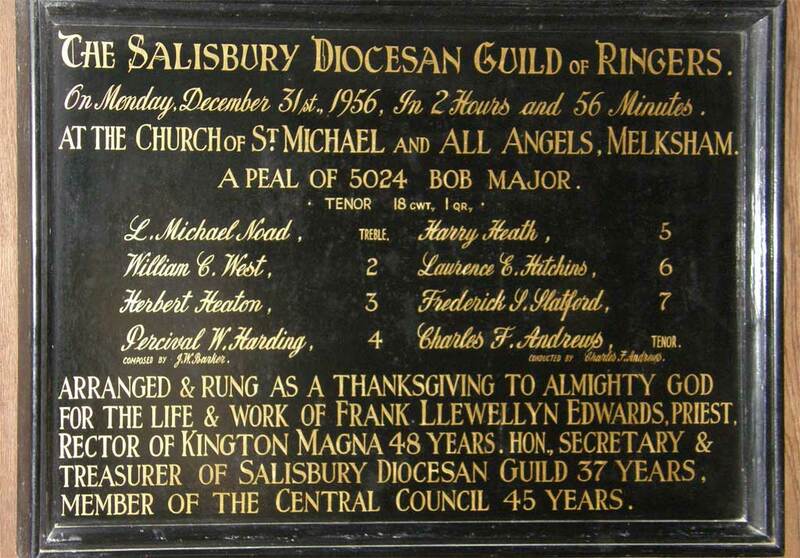 Llewellyn Edwards, Vicar for 48 years, was also a keen bell ringer and Hon. secretary and treasurer of the Salisbury Diocesan Guild of Ringers for 37 years. When he died left a bequest to the Guild which was the start of the Guild’s bell restoration fund, which is named after him. 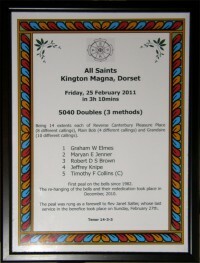 Due to the connection, Kington Magna received a particularly generous grant from the Guild towards the restoration.